If you’ve always been using desktop vaporizers or those large handheld ones, this user friendly box will leave you no choice but to leave those vape tools in the attic. The United States based company Magic Flight introduces the world’s smallest electronic vaporizer yet, redefining portability and convenience. This small wooden box measures 2.5 X 1.25 X 0.9 inches and is especially handcrafted and designed to provide users with an utmost discreet and quiet vaporizing session. This unit is proudly one of the only vaporizers that use rechargeable alkaline batteries and does not need to run off butane, lighters, or torches. How much more convenient can a vaporizer get? We’ll tell you right now. The Magic Flight Launch Box is equipped with several channels meant for vapor flow, to minimize any condensation when in use. It is a virtually safe compared to other smoking devices available, with no harmful byproducts emitted from combustion. This nifty vaporizing tool doesn’t require to be used indoors as well, because there are no plugs and wires involved. The Launch Box is quick and heats up in a matter of seconds, and can be enjoyed anywhere as users are ensured with a lifetime warranty. 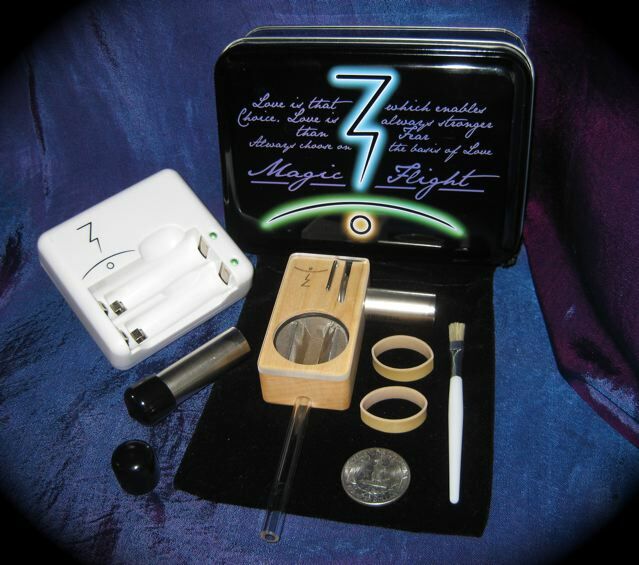 Many users are continually impressed by the quality of vaporizing experience the Magic Flight Launch Box delivers. The starter kit comes with a small tin carrying case, extra rechargeable batteries and battery caps, as well as a charger and cleaning brush. A velvet storage bag holds all these which you can easily carry in your bag wherever you’re go for those on the go sessions. There is no longer a need to look for another good quality, portable and effective vaporizer that gives a safe vaporizing experience that fulfills and is easy on the lungs, because the Magic Flight Launch Box vaporizer is surely a winner.